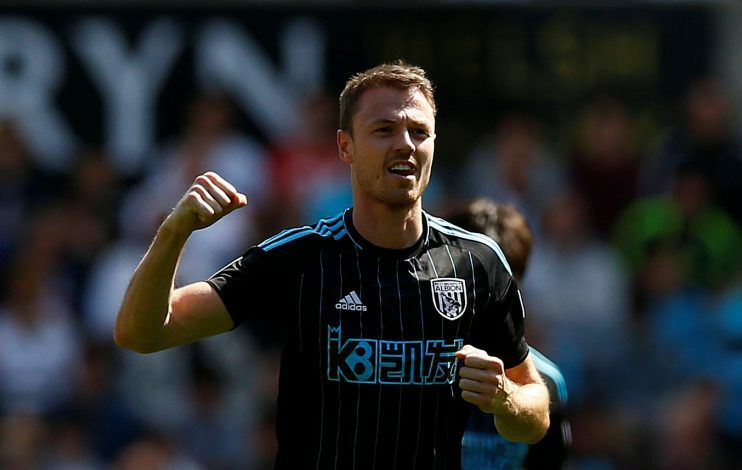 West Bromwich Albion have a decision to make in the remaining few days of the ongoing January transfer window, regarding their star defender Jonny Evans. The former Man United man is a transfer target that has garnered interest from several top plight clubs in England, and West Brom are demanding £23 million for his services. But if the Baggies do not cash in on him at the moment, they could risk losing the Northern Ireland international for just £3 million in the summer of 2018. Arsenal, Leicester City, and City are the three major clubs looking to get hold of Evans, who they feel will be a vital addition to their sides, thanks to the bags of experience in English football that he possesses. According to Mirror, the player has a £3m escape clause should the Baggies be relegated from the Premier League. Currently, Alan Pardew’s side sit in the 19th position in the table, and are in a big risk to get relegated to the Championship. With Swansea City’s 1-0 win against Liverpool on Monday, the pressure will be on Pardew to get his troops ready, and stitch in some victories that can see them rise past the congested relegation battle. Pardew is reported to be looking for a new striker to boost their chances of staying up, and selling Evans would help them get the necessary funds. They already have Salomon Rondon and Jay Rodriguez as strikers, but Pardew is believed to be on the lookout for an in-and-out goal-scorer that can keep them safe. The Baggies have been parched of goals, with only 19 scored this season from 24 matches played.